Toyota Prius+ Performance, Engine, Ride, Handling | What Car? 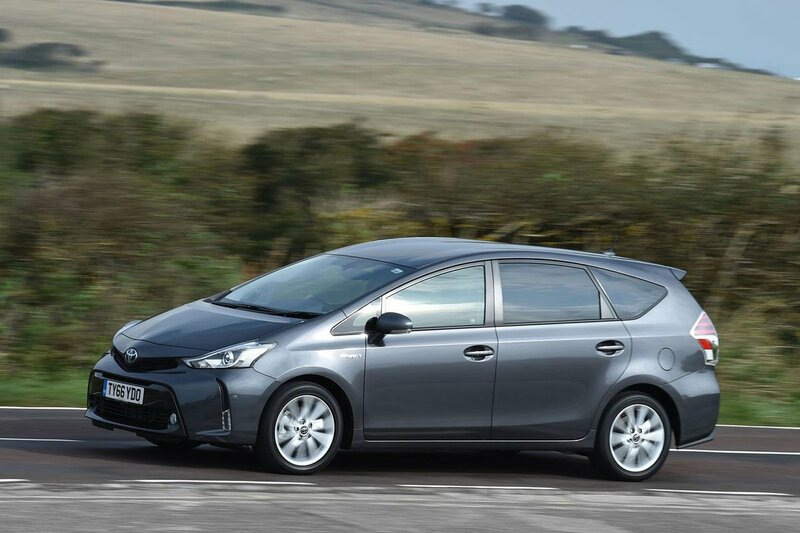 The Prius+ comes with the same naturally aspirated 1.8-litre petrol engine as the standard Prius, although it has a slightly beefier electric motor to boost the combined output to 134bhp – enough to whizz you up to 62mph in a claimed 11.3sec. Those are the on-paper stats, but what’s it like in the real world? Well, pretty unremarkable; you find yourself reaching for the Power mode – which sharpens the accelerator response but dents fuel economy – to give it some appropriate get-up-and-go on faster roads, but even then it doesn’t feel as sprightly as the Hyundai Ionic. The Ionic has a better gearbox, too. 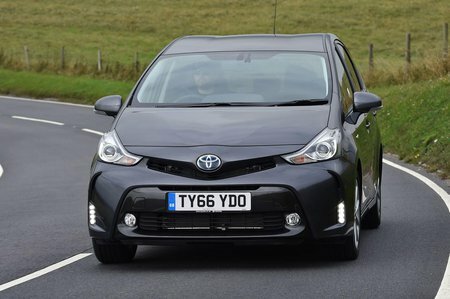 It uses a dual-clutch automatic, you see, whereas the Prius+ uses a CVT auto ’box that’s less responsive and sends the revs flaring whenever you give it some welly. If you lock it in electric-only mode and tickle the accelerator, the car potters along serenely using just the electric motor. But with a relatively small battery compared with plug-in hybrids, you get a mile at best before the battery depletes and the petrol engine cuts in. 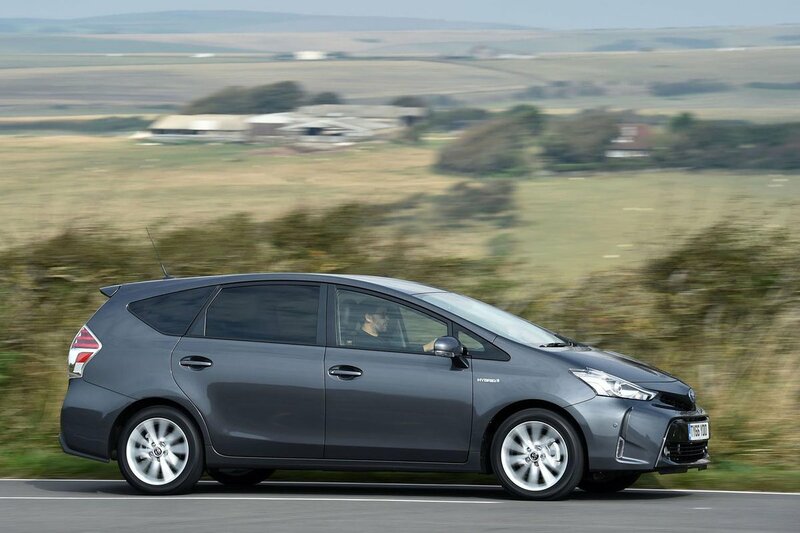 On the plus side, the Prius+ copes well with city life, thanks to its light steering and easy manoeuvrability. At higher speeds, it would be helpful if the steering gained a bit more weight and there was less body lean, but otherwise the Pruis+ is sure-footed. It’s just not as neat and tidy as an Ionic – or the regular Pruis, for that matter – and certainly not a match for the surprisingly nifty-handling Volkswagen Touran. It is supple, though, so whether you find yourself on cut-up city asphalt or a bumpy motorway you can be assured of a very comfortable ride. Wind noise is pretty intrusive at 70mph, though.